Computer simulations not only belong to the most important methods for the theoretical investigation of granular materials, but provide the tools that have enabled much of the expanding research by physicists and engineers. The present book is intended to serve as an introduction to the application of numerical methods to systems of granular particles. Accordingly emphasis is on a general understanding of the subject rather than on the presentation of latest advances in numerical algorithms. Although a basic knowledge of C++ is needed for the understanding of the numerical methods and algorithms in the book, it avoids usage of elegant but complicated algorithms to remain accessible for those who prefer to use a different programming language. 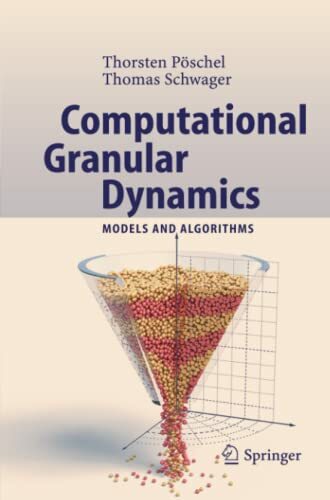 While the book focuses more on models than on the physics of granular material, many applications to real systems are presented.